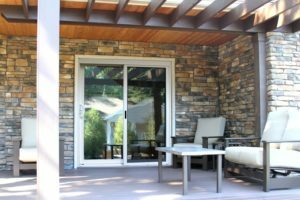 Sliding Patio Door Edison | Window & Door Outlet, Inc. If you’re tired of staring at old and worn doors leading to your patio, or if your patio doors are starting to allow drafts into your home, it might be time for an upgrade. If you live in Edison or another community in Central New Jersey, Window & Door Outlet, Inc., can help. We offer hinged and sliding patio door installation that can help to elevate your home’s curb appeal with style and functionality. About Window & Door Outlet, Inc.
We’ve been providing exterior home improvement solutions since 1997, so we have the expertise needed to ensure that your project goes off without a hitch. Our products are available at various price points, so our customers can always find something that fits their budget. Additionally, we take pride in the fact that our commitment to providing outstanding products and customer-focused service has allowed us to maintain an A+ rating with the Better Business Bureau for many years. Whichever patio doors you choose, you can expect them to provide outstanding energy efficiency. You will also be able to choose from a wide range of colors, finishes, and hardware options to make it easy for you to complement your home’s interior and exterior color schemes. Contact Window & Door Outlet, Inc., today if you would like more information about the hinged and sliding patio door installation services we offer to homeowners in Edison and throughout Central NJ.